Buying and selling gold or silver bullion is a fairly simple process, however there are several factors beginners should keep in mind prior to investing and offloading precious metals. Remember, gold bullion refers to either gold coins or bars (ingots) of at least 99.95% purity. Bear in mind that when you buy bullion, you take physical possession of it, so storage is a key factor. 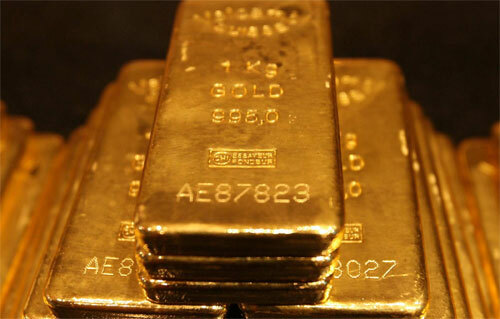 Read on to find out how to successfully buy and sell bullion. 1. Know your goals and risk profile before jumping into the market. Like any investment, you need to consider important matters such as whether you plan to be in it for the shorter or longer term, how much you can afford to invest safely and how your bullion purchase will complement the other sectors of your portfolio. 2. Learn about the historical performance and role of gold in financial markets. Many investors and financial analysts alike recommend holding gold or other precious metals over the longer term as, better than any other asset, they help protect the portfolio from a range of potential so-called “black swan” economic crises, such as hyperinflation, deflation, runaway stagflation or chronic disinflation. Make sure you understand the “safe haven” role gold has historically played as a hedge protecting against all these negative economic events. 3. While there are many ways you can invest in gold, including gold funds, ETF's and by speculative mining stocks, if you want to harness the metal's intrinsic and potentially rising value, then trading in bullion should be your primary concern. It offers a simple and effective exposure to the metal. 4. Choose a provider. If you want to hang on to your gold investment for at least five years - as is recommended by most financial advisers – make sure to select an established company. Remember, smaller bullion providers are not as stable as bigger companies and may not last the distance. 5. Ensure you have storage covered. Another benefit of choosing a larger, more established bullion company is that they generally have contracts with trusted vaults for storage of your gold. Therefore, the risk of something happening to your gold is incredibly slight. 6. Decide how much to invest in gold. When setting up your gold savings account, you may wish to begin with a small investment, then save as much as you feel to be necessary over time. Remember, gold should make up a key part of any investment portfolio, however you should not over allocate in gold. If you don't know how much to invest in gold, speak to a qualified financial adviser. 7. Ensure you pay the lowest fees possible. Gold bars come in metric sizes and are available to purchase at the prevailing gold price for that day, however a premium is added to every purchase. When you buy a smaller amount of gold, you will pay a higher relative premium. Remember: gold bars are relatively easy to trade, so you should always be able to find buyers and sellers in the market, which is not the case when it comes to some gold coins. The simple goal of buying bullion is buying them when prices are low and sell when the prices are high. But the life and the markets are never been simple or easy to predict.